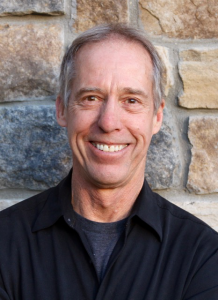 Since 1998, Jim's leadership has taken the dZi Foundation from a grassroots organization — formed to save girls at risk — to a thriving non-profit that serves over 31,000 individuals in Nepal. dZi's growth is a direct result of his knowledge, passion, and compassion for those the dZi serves. Michelle joined the dZi team in May of 2015. She moved to Telluride, Colorado in 1986 from Buffalo, New York. She holds an AAS in Accounting and a BA in Education. Michelle is an accomplished ceramic artist and has a diverse skill set that comes with living and working in a small mountain town. 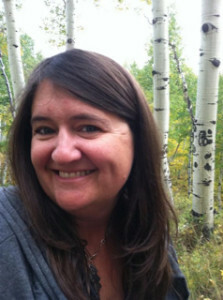 Her nonprofit experience includes working for many years with The Ah Haa School for the Arts and Telluride Mountainfilm. Julia’s passion for Nepal was first ignited during a study-abroad program in college. 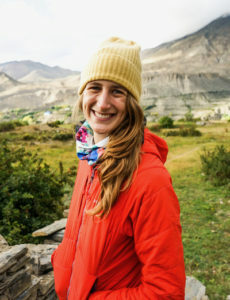 Once she graduated from Colorado College, she worked as an editor for outdoor sports publications and instructing students on month-long backcountry trips. Julia returned to Nepal after securing a prestigious year-long fellowship with Princeton in Asia, during which she worked as an intern in dZi’s Kathmandu office. She is beyond thrilled to be a part of dZi’s US team and to support an organization that creates such meaningful and lasting change in communities. Julia speaks Nepali, could live off of Nirmala’s paneer momos and chiya, and loves learning about the history of any place she visits.